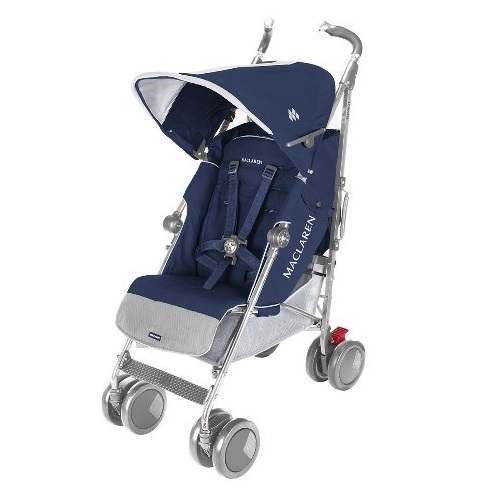 The Chicco Liteway Plus Stroller allows you to build your own travel system. This lightweight stroller conveniently converts from an infant car seat carrier to a toddler stroller. The Chicco Liteway Plus Stroller easily accommodates the KeyFit infant car seat with an audible click. The comfortable and roomy seat features 5 recline positions. This stroller has an easy to fold one-handed operation. It is a three 3 steps process, and it has an auto locking feature and handy carry handle for easy travel. Other features include toe-tap locking brakes, rear wheel suspension, adjustable leg support, removable canopy with peek-a-boo window, storage basket and a parent cup holder. This stroller is best suited for families who enjoy the convenience of a travel system, but desire a lightweight stroller. I am a big fan of travel systems, so I was happy to find a lightweight stroller that will work with my baby from birth until he is a toddler. The Chicco Liteway Plus Stroller offers much better long term value than buying a stroller frame and a separate compact stroller. My Chicco Keyfit infant carseat easily attaches to the stroller, and I can feel secure that my baby is comfortable and safe when we are out and about. This stroller is much less bulky, and fits in the trunk more compactly than other travel systems available today. I used the Chicco Liteway Plus in stroller frame mode until I transitioned my son out of his Keyfit carseat, and into a convertible carseat. Now, we are using the Liteway Plus as a toddler stroller. If we decide to add on to our family in the future, we can easily switch our Liteway Plus back into stroller mode. We will definitely get our money worth out of the Liteway Plus before our family is complete. In my Chicco Liteway Plus review, I found it is not as compact when folded as I would have liked. It is definitely not comparable to the size of a folded cheap umbrella stroller. Also, the fabric cover on the five point harness is a bit cumbersome. It covers the buckle and needs to be pushed aside to unbuckle. I would like it if the canopy was a little larger, but overall I am happy. 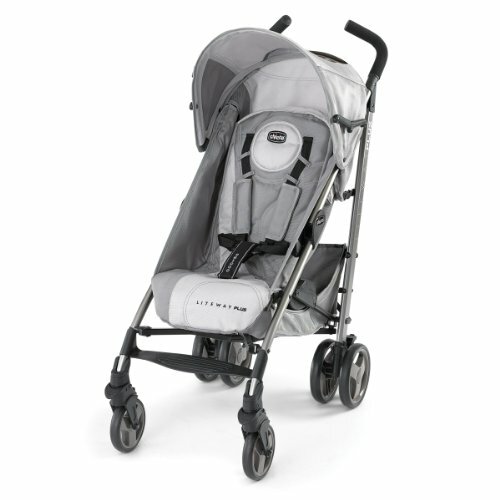 The Chicco Liteway Plus Stroller is a great economical lightweight stroller that has a lot on offer at a great price. 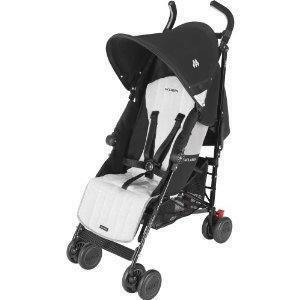 It has a full reclining back seat, full size canopy for added comfort and sun protection and adjustable leg support. It has a parent cup holder, good amount of storage and a 5-point harness. Still undecided? Check out our guide to buying an umbrella stroller.